2015 has come and passed and so we take a look back at the new developments and changes that occurred over the past 12 months. In 2015, we saw the revamp of the Star Wars series, the creation of Google's parent company (Alphabet), declining fuel prices, the potential merger of Time Warner Cable and Comcast, and more. The advertising world was no exception to change in 2015, especially within the agency landscape. Every year there are a number of factors that influence and alter the advertising agency landscape, including trends and technology changes, mergers and acquisitions (M&As), and more. As trends and technologies change, agencies pop-up to meet these new demands with the less adaptable agencies falling out of focus. Along the same lines, the bigger players buy up or join forces with the agencies that have the talent and resources they need in order to stay relevant and attractive to marketers. There are very few barriers to entry in the advertising space, it seems as though agencies can be formed and destroyed almost overnight, making it difficult to have a clear picture of the current state of the agency landscape for extended periods of time. As a marketing sourcing professional, it is important to track the changes to the agency landscape in order to be able to offer comprehensive and accurate recommendations to clients for potential agency partners. With such a diverse supply base to choose from, including niche or full-service and global or regional players, it is essential to be aware of the difficult options available to your clients and understand the pros and cons of each. 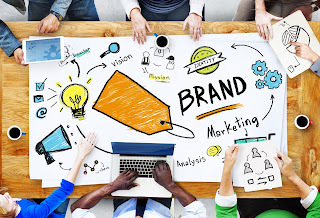 For example, while one of the big ad agencies may be enticing for the name-recognition it brings your campaign, a smaller, regional agency may be better suited for your assignment if it is targeting a specific geographic area. However, if you are launching a new global brand, an agency with a strong global presence and established expertise could be a better option than a local agency. Similarly, when conducting conflict of interest screenings, you should be aware of the different relationships between agencies, whether they fall under the same holding company, are part of the same partner network, or are independent entities. Knowing upfront that Agency A is the sister company to Agency B, whose number one client is your client's direct competitor, can immediately eliminate them from consideration. Finally, by monitoring the changes within the landscape you will remain on top of the major trends sculpting the market and be able to share this subject matter expertise with your clients when making recommendations. The marketing space is highly volatile, with different tactics and strategies fading in and out of style as trends and technologies change. Agencies must stay on top of the latest trends in order to maintain their clientele; therefore, following the way agencies are adapting to trends can provide you with valuable insight into the market. Outlooks and predictions for the trends that will impact the agency landscape in 2016. In our next post, we will discuss some of the major M&As of 2015, and what they mean to the agency landscape.